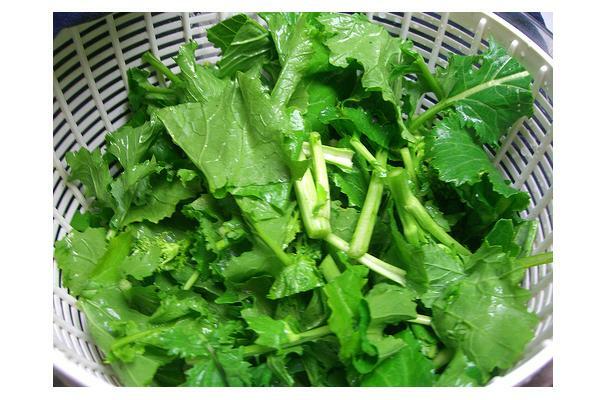 Broccoli Raab is a type of green leafy vegetable originating from China and the Meditteranean. This vegetable though not related to Broccoli, is probably so named due to the small broccoli-like buds that appear. Broccoli Raab is used extensively in Chinese and Italian cooking, and is best eaten cooked. In addition to fiber, Broccoli Raab is a source of Vitamins A, C and K, and potassium.